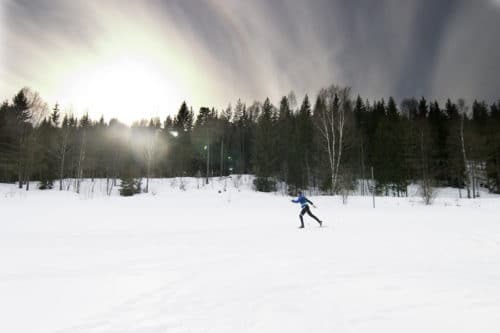 Cross-country ski lovers will find their paradise this winter in Duluth. The hundreds of kilometers of hiking trails are now perfectly groomed skiing paths. While gliding through deep forests, over hillsides and along streams, you’ll forget you’re only minutes from downtown. After losing yourself in a snowy wonderland of local parks and trail systems, refuel at the many great restaurants, coffeehouses or pubs. Visitors will never run out of trails to explore, views to experience and new challenges to conquer. In the middle of all the activities find the Solglimt Bed and Breakfast. We have a central location that also offers a tranquil setting with wonderful views of Lake Superior. Our gourmet breakfasts, along with our custom coffee blend will have you ready for another day skiing. Book your cross-country ski getaway with us today and discover Duluth adventures this winter.